Adafruit experimenting with “Pi Plates” for @Raspberry_Pi – “Shields” for the Raspberry Pi « Adafruit Industries – Makers, hackers, artists, designers and engineers! 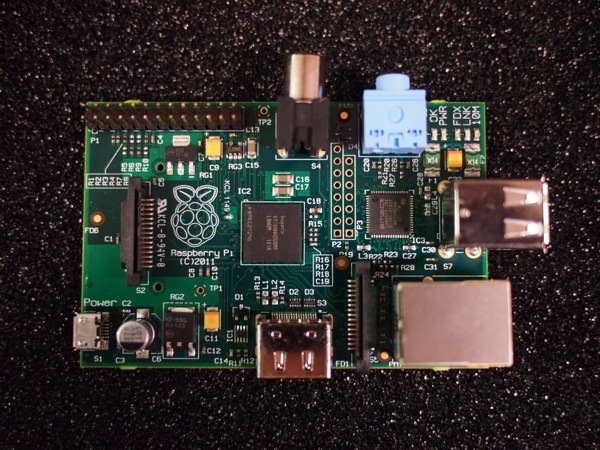 A lot of folks are asking what and if we’re going to do with the Raspberry Pi. Since today is Pi day we can share some of our plans and experiments – we have a series “Pi Plates” for @Raspberry_Pi – “Shields” for the Raspberry Pi. Right now no one has shipping hardware so like everyone else we are waiting to get the read hardware to test our designs. We have a few ready to go based on the information out there and will have more later (and updated) once we test. There are no details beyond this and no ETA (don’t ask!) Please keep in mind this is an experiment, if something crazy happens we might not be able to do these of course. However – if someone gets an extra one and can get it to us to test we’ll give you a set of “Pi Plates” for the assistance if and when they’re done. At Adafruit we think we have the best line up of accessories for the Arduino and Beagle Bone, we think you’ll like what we have cooking for the Pi if it all works out 🙂 Once we have anything to show we’ll devote a segment on our weekly video show – ASK AN ENGINEER. I’m curious – has Adafruit’s order volume for BeagleBones increased since the Raspberry Pi try-to-place-an-order date? I’ve bought three since then, because I now know the Pi won’t be available in quantity within the timescale for my project; they seem to be going out the door at a rate of about ten a day. Can’t hardly wait! And I thought waiting for the second run of the Pi was going to be hard! One thing I would really love to get is a good case for a Pi. About the only thing that they left off the Pi is mounting holes! Would it really kill them to add an 1/8th of an inch to the dimensions and add 3-4 holes for a few 2-56 nylon screws! Also like the beagle board, the bloody thing has connectors on all four edges making it a nightmare to mill a case out of a standard enclosure. Would love a enclosures that the pi could slide into (is there edge realestate available?) or some soft standoffs strategically placed as to not damage the board as it rests on them in the case. as for a pi “plate” request – would love to take all the GPIO off the pi and opto-isolate it or buffer it in some way so that I can drive some TIPS120, or OMNIFETs (MOSFET) or relays, without BAKING my pi if I get a short/something goes awry. Thankyou Thankyou, Thankyou in advance! (and I’ll take 10!). This is a vote for a proto-plate. It would be great if it had pads for DIPs and SOICs. Maybe a little circuit for a regulator if a supplemental PS was needed.